Proving once again that nostalgia is a big seller, fans and collectors of Back to the Future Part II can get a little taste of the past/present/future with limited edition bottles of Pepsi Perfect Back to the Future. The commemorative edition of the futuristic beverage first shown in the movie sequel is commanding some huge prices online. Shop for Pepsi Perfect Back to the Future Bottles on eBay. Issued in conjunction with the date that Michael J. Fox as Marty McFly appeared in the future (October 21, 2015), the special 16.9-ounce soft drink from Pepsi comes in basically the same bottle seen in the movie. McFly ordered the beverage at Cafe 80's in the futuristic Hill Valley. The new, limited edition bottle contains original Pepsi made with real sugar. Priced at either $20.15 or $19.85, depending on the the retailer, the set includes the plastic bottle, additional plastic display case and commemorative box. However, even with the moderate retail price tag, that has not stopped prices from shooting into the hundreds on eBay. Although the release was supposed to take place on October 21, it appears that some of the product was listed early online at Amazon and Wal-Mart and quickly sold out. With only 6,500 bottles available, the rest of the production run sold out in just minutes around 9 AM EST on the 21st. Given the low overall amount, prices should remain strong. There has been a huge range of sales so far, with most going between $200 and $500 on eBay. Responding to the outcry from consumers, Pepsi announced that more bottles would be made available on 11/3 at their online store. This new batch also has a reported run of 6,500 bottles, doubling the total amount to 13,000. 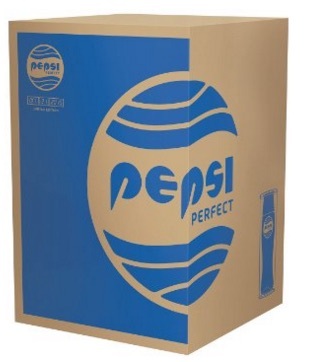 The second group of Pepsi Perfect sold out quickly as well. Additional bottles were also available at the 2015 New York Comic-Con at the Pepsi booth (#CP101). 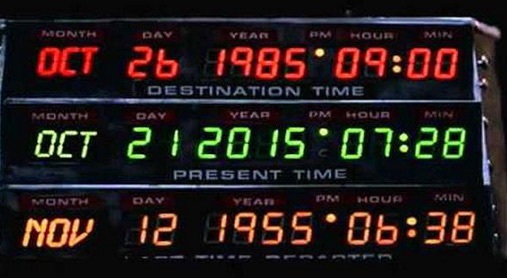 They were provided as giveaways to the first 200 fans each day to visit the booth dressed as Marty McFly. This amount is not included in the number of bottles sold online. Collectors may recall the Nike Air Mags issued in limited numbers a few years back that were based on shoes from the movie which featured automatic laces and a space-age look. These were also a hit with the public and produced huge prices. A new batch of Mags is on the way that will actually include the automatic laces. For those searching for less expensive collectibles, Topps put out a card set for Back to the Future Part II in 1989. 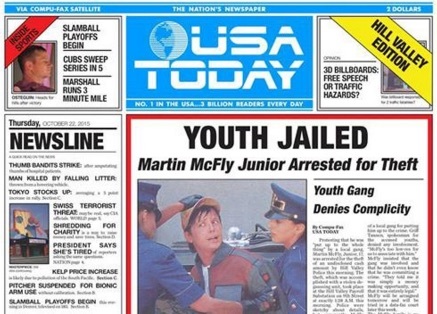 USA Today also released a special edition of the paper seen in the film. PEPSI PERFECT LIMITED EDITION US BACK TO THE FUTURE II BOTTLE MINT WITH BOX.